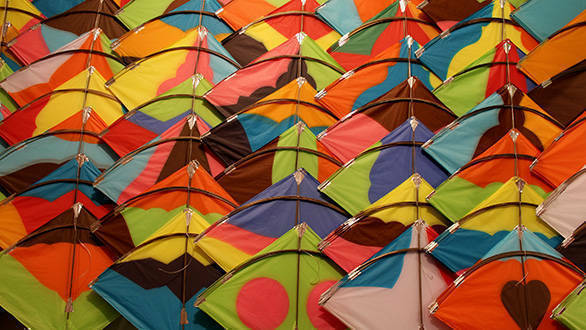 Of all of India's many festivals, my most favourite one is Uttarayan (as it's known in Gujarat) or Makar Sankranti as it's referred to in some other parts. Uttarayan is a rare solar festival that marks the movement of the Sun from the southern hemisphere to the northern hemisphere. Interestingly, as it's based on the movement of the Sun, it's one of the few Indian festivals that fall on the same date every year- the 14th of January. It also signals the arrival of spring and the harvesting season for farmers. 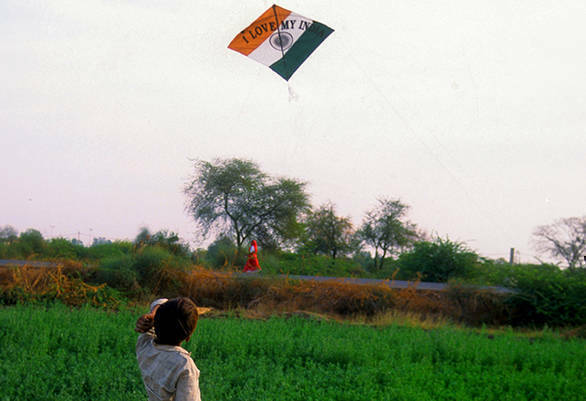 Uttarayan is celebrated all over India, but in Gujarat the festivities are particularly spectacular and special. 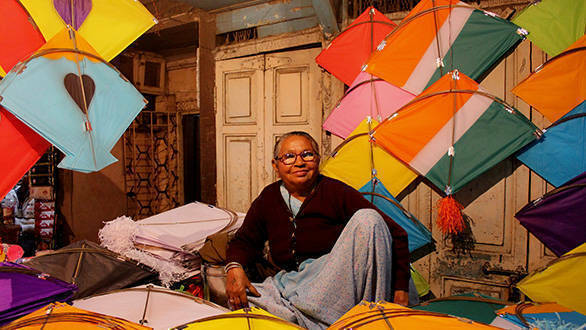 On 14th January and of late also the 15th, the skies over Gujarat are full of kites from dawn until well after dark. 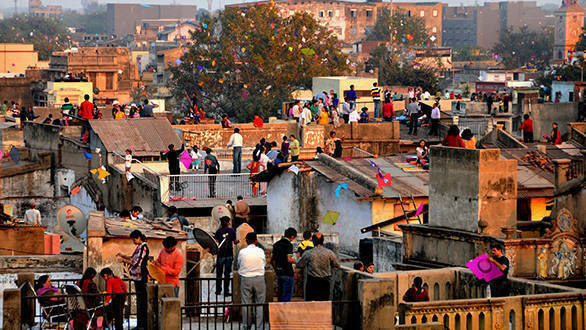 Almost all normal activity shuts down and everyone takes to the rooftops to fly kites of all shapes and sizes. The main intention is to get into dog fights with others and engage them in battle. 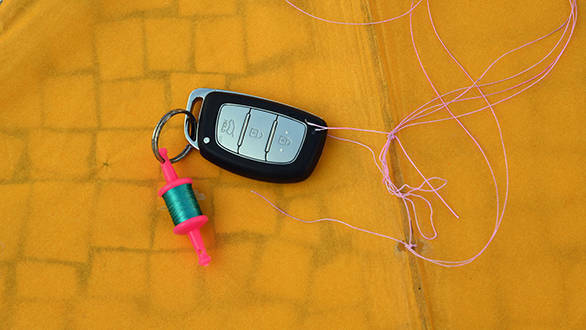 Yes, you actually cut the string and bring down their kites. 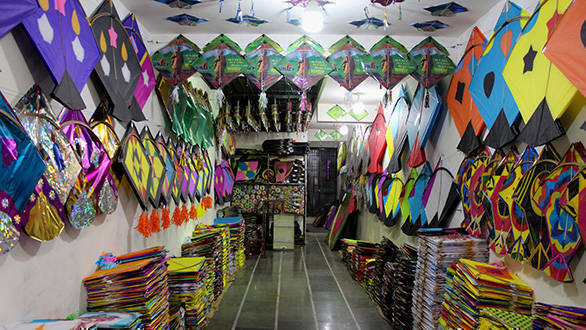 Keen enthusiasts (including me), have their select custom kite-makers who prepare responsive kites with flexible bamboo frames and strong kite-paper stretched to exactly the right tension. 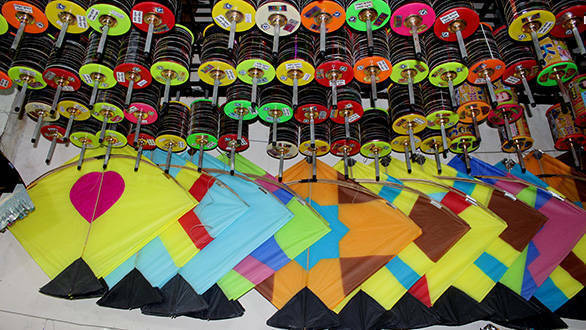 The kites are attached to a sharp glass coated thread called manjha, which is used for cutting the string of rival kites. 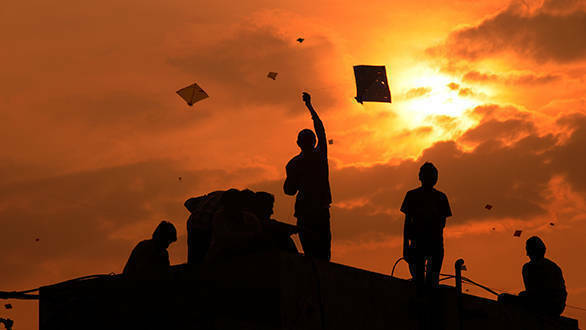 Flying and cutting kites is a very skillful sport and requires lots of talent and very good hand and eye co-ordination. 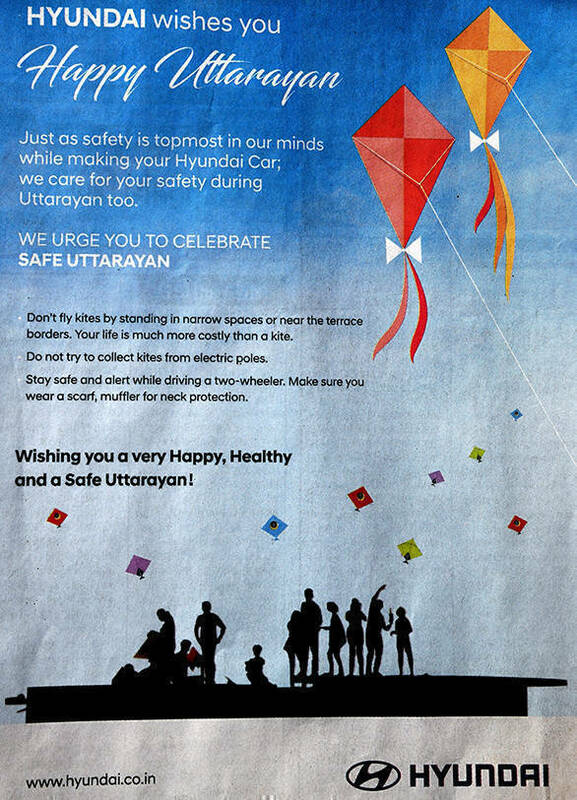 I have been going to Gujarat to fly kites during 'Uttarayan' for many years, and this time I decided to drive down in the Hyundai Tuscon AWD. 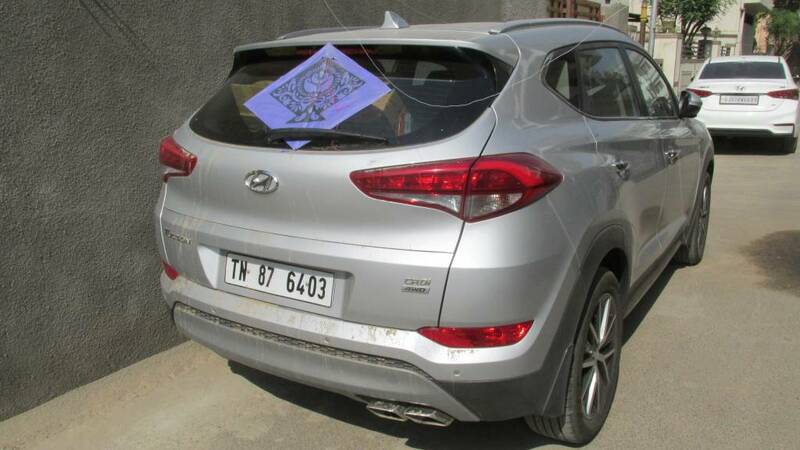 It proved to be a great partner for this 'Kite Trek' and impressed with its overall performance and polished driving dynamics. The Tuscon rides and handles far better than many other SUV's, including some more expensive and better known ones. 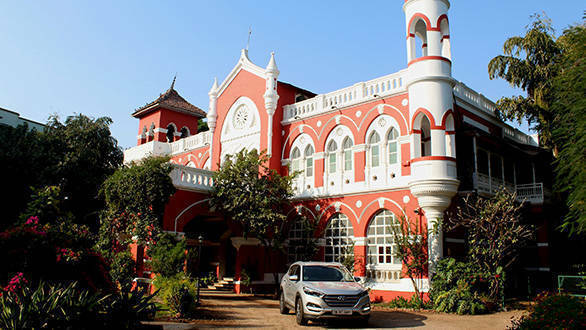 Doing the about 7 hours (425 kms) journey non-stop to Baroda was not at all tiring and over the next few days I realized that the Tuscon is very comfortable for long distance driving. It is stable and assured at high speeds, quite fuel efficient and the passenger compartment is spacious and nicely laid out too. The boot easily swallowed the entire luggage, including the kite boxes and phirkis (reels) with manjha (sharp tread). Yes, I went well prepared for Uttarayan. Early the next day I set out for Ahmedabad where my good friend and well-known photographer Dinesh Shukla, and his family were waiting eagerly for all of us to hit the terrace and literally 'Take Flight'. 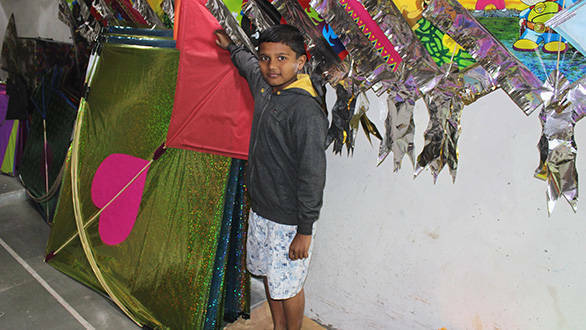 The Uttarayan atmosphere was wonderfully festive -loud music was being played in some places and special foods like undhyu, jalebi, puri, chikki, etc, were prepared and enjoyed along with the fun of kite-flying. The skies over Ahmedabad were full of colourful kites and the hospitable Shukla family made sure it was an incredible experience. I simply can't wait for next year.